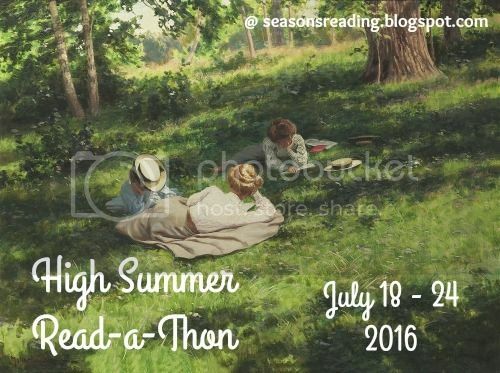 Next week, starting Monday, I am joining Michelle of True Book Addict, and a group of other bloggers and book readers, in her High Summer Read-a-Thon. I like these low key events, especially because I never manage to read everything I hope to. Mainly, it’s a chance to engage with other bloggers and – if I’m lucky – find some new blogs to follow. While I do that, I’m going to attempt to read two books – doable I think. First up is a cozy, something I’ve never read before but whose descriptions often catch my eye. Because I’m watching the series on TV at the moment, I’ve picked Agatha Raisin and The Quiche of Death by M. C. Beaton. I’m also going to try and finish a book I’ve started a few times but not finished, The Museum of Extraordinary Things by Alice Hoffman. Fingers crossed I will make it through this time. Either way it will be fun and I’ll do updates as to my progress on this post. If you want join in or see what others are planning on reading, head over to seasons readings. Thanks for introducing me to this read-a-thon. Looks like fun! Thank you for sharing the news about the Read-a-thon, this looks like it’ll be great fun:) I’ll be interested to find out how you get on with The Museum of Extraordinary Things, I read it last year and found it to be a memorable book. Best of luck! Agatha Raisin is a funny character, although I can’t read too many of her books too close together or she gets annoying. This first book is a good one. Read it years ago. Good luck Emma – you can do it! Thank you. I have made it through four chapters of Hoffman today. It’s so detailed and descriptive I love it but also find it hard if I get even slightly distracted. Thanks for joining us, Emma! I hope you are able to reach your goal…and meet some bloggers as well. Looking forward to it. Have been blog hopping and reading!